=Chocolate Peppermint Cookie Brittle by Holly Baking Co. 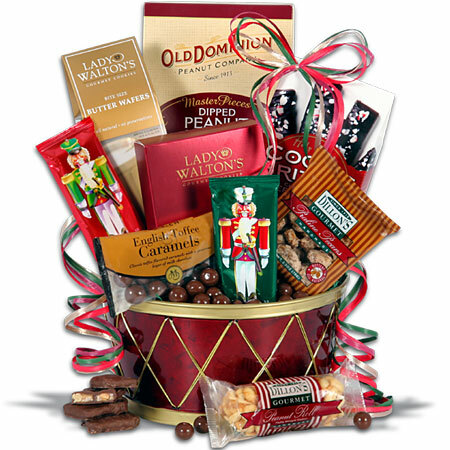 I'd like to thank GourmetGiftBaskets.com for being a part of the 2010 Holiday Gift Guide and for giving a reader a Nutcracker Drum Christmas Gift Basket. Mandatory Entry *Become a GourmentGiftBasket facebook fan and comment with the link to your favorite gift basket. Make sure to include your facebook name so I can verify. Entry should look something like "Jenn McCullar likes GourmentGiftBasket facebook & my favorite gift basket is the Nutcracker Drum Christmas Gift Basket @ http://www.gourmetgiftbaskets.com/Nutcracker-Drum-Christmas-Gift-Basket.asp"
Disclosure: Company or PR provided me with a product to giveaway. All opinions are my own. Looking for Cyber Monday Deals and I will add to this list, while shopping. Congrats! to the 2 newest winners in the Holiday Gift Guide!! First the Blooming Buddies Book Winner! Funrise Strong Arm Tonka Fire Truck Winner! We have always been a family who love sea food. We have also have always preferred SeaPak seafood over other brands. They simply taste the best and are usually more affordable. I know when I have SeaPak products in the freezer, I'm minutes away to having a nutritional meal for the family. Did you know "Seafood is an excellent source of protein, provides omega-3 fatty acids necessary for brain development and vision, and supplies essential vitamins like B12 and D, along with important nutrients." Because SeaPak products cook so fast they also make great holiday party food. It is hard to believe quality food can come out of a box. The Popcorn shrimp is a favorite of most guests and it is one of my children's favorite SeaPak products. We love them plain, on salads, and to make sandwiches and you can check out great recipes at SeaPak Inspired Seafood Recipes. SeaPak is more than shrimp they also have Clam Strips, Popcorn Fish, Herb Butter Salmon, Maryland Style Crab Cakes, Salmon Burgers to name a few. Wow your guests and family with the best packaged seafood. I was recently ask the question "What sport gives your laundry pair the biggest workout. And, why?" My Blog was chosen for today @ http://www.mysears.com/mysears_blog/Mommy-Marathon-and-Washer-and-Dryer-Workout That means one of my readers will have a chance to win a $75.00 Sears Gift Card very soon. Being a mom to two boys 3 & 1, I run the mommy marathon as most moms do. Being a mom can be considered a sport and requires endurance, strength, balancing, budgeting, racing to stop that spill. The list goes on with children making mud pies in their hair, food disaster in the kitchen, or everyday wear. The everyday sport of life gives my laundry pair the biggest workout. That why when we first moved in our home we visited our Sears hometown store. Our home already had the kitchen appliances in it, but we needed a washer & dryer. We went through looking at the size capacity and the cost of the washers & dryers. I wanted a large capacity set. We quickly found the set perfect for our home. We did not stop at a washer and dryer, we also bought a metal storage building from Sears. In no time at all we where at the counter paying and arranging delivery. Shopping at Sears that day has saved me time and money the past 9 years. My appliances are still going strong and are used daily. They are handling each messy outfit my sons can throw at them and I have more family time. 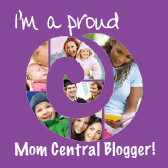 This is a personal blog written and edited by Jennifer McCullar. Sears did not compensate me to write this blog or to say particular things in it; however. one of my readers will win a $75.00 gift card. The views and opinions expressed in this blog are purely my own and any product claim, statistic, quote or other representation about a product or service should be verified by Sears. Congrats! to the winner of the Plow & Hearth Candy & Snack Dispenser. Everyone knows HearthSong carry a unique selection of toys that go beyond just play. Many of their toys have creative elements and more flair than plain toys. 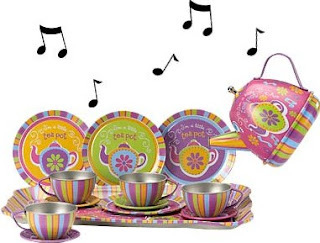 That's exactly how to explain the wind up Musical Tin Tea Set. It not just a tea set, it sings when children pretend to pour. The colorful tea set is a rainbow of fun. We've had a great time tea partying with it and my littlest one likes to pour because of the music. I supervise play when he is playing with it, because of small parts like the music knob. He turned it opposite direction and it came off. It is not advised for children under 3. HearthSong tea set includes teapot with lid, tray, 4 plates, 4 tea cups and 4 saucers. I also wanted to let all my readers know about the HearthSong's 12 Days of Giving on facebook. HearthSong is giving away a FREE gift each day to one lucky fan, The 12 Days of Giving begins on 11/29/10 and ends 12/14/10. I know I certainly don't want to miss it! So many creative fun toys are available at HearthSong, sure to make anyone happy this holiday season. Thanks to HearthSong for being a part of the 2010 Holiday Gift Guide and for giving a reader Musical Tin Tea Set. 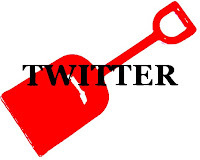 Mandatory Entry *Visit HearthSong and tell me product you love & the link to the product. Disclosure: Company or PR provided me with a product to try and provide my honest opinion. All opinions are my own. Congrats to the winner of the ToiletTree Products Fogless Shower Mirror. Entertaining guest for the holiday or preparing meals for the family, Farm Rich products are a crowd pleaser. I've always been a big fan of their Mozzarella sticks with the dipping marinara sauce. I've tried them cooked in the oven and fried and they are great both ways. My children love their products, especially the Pizzeria Bites. Farm Rich product are perfect party appetizers fast, easy to fix, and budget friendly. They taste great as is or you can dress them up with dips or try some of the recipes on the Farm Rich site for a special treat. These snacks are widely available at groceries stores and supermarkets. Farm Rich Foods are great to have on hand in the freezer when a new baby comes. You have little time to cook and this fast wholesome food hits the spot. Several products provide good sources of calcium and protein. With a variety of products your taste buds don't get bored either. I was happy to have food that could go in the oven, no preparation, and out ready to eat. 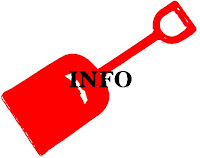 Mandatory Entry *Visit Farm Rich and tell me product you love & the link to the product. 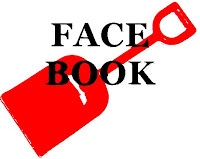 *Become Farm Rich Facebook Fan. 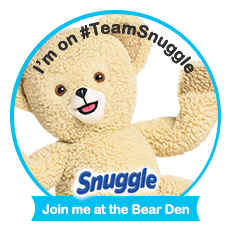 Congrats to the winner of the The Clean Bedroom Store Naturally Organic Wool Pillow. Thanks for stopping by today, I can't wait to follow you back and see your website. While here enter my holiday giveaways located in left side bar and check back more to come. Hop Along Friday, hosted by My New Life As Mom, Chubby Cheeks Thinks, Take A Mom's Word For It, This Adventure Our Life and Belly Charms! The collection of Aardvark scarves from Admiral Road are adorable, warm and friendly. They are that dash of fun and excitement every outfit needs. Aardvark scarves make fantastic holiday gifts. I love the idea the bright green crayon scarf as a gift for a teacher. Scarves typically measure between Size 6" x 50" to 6" x 60". I love the overlap of the design sewn into the scarf. It creates a great visual effect. Now when the slightest chill is in the air my son wants to wear one of these fun scarves any chance he gets. I think he looks very handsome wearing them. We like the softness of the fleece kids scarves. Admiral Road is widely know for their personalized fleece blankets for babies and kids. But, I found that they also have fleece blankets for teens, adults and pets. Admiral Road just launched their jungle collection including personalized bloom baby blanket, lion baby blanket, and girl and boy elephant baby blankets. A portion of the proceeds from these new styles will go to FreeSchools World Literacy and will sponsor the expansion of a Women’s Empowerment Centre outside of Delhi. FreeSchools World Literacy is a not-for-profit organization that runs 80 schools for more than 3,500 women and children in India and Thailand. Personalized blankets are all handmade in Canada from 100% polyester, non-pill fleece. They are extremely durable (can be machine washed and dried) and make lasting keepsakes. Treasure Tees are New from Aardvark with design sewn into fabric and are made entirely in North America. There are four designs available and you can wash and dry this amazing shirt (inside out, low heat). Admiral Road also have gift baskets to welcome home baby and the are precious. I'd like to thank Admiral Road for being a part of the Holiday Gift Guide and for giving one of my readers an assorted collection 5 Aardvark scarves. Mandatory Entry is to visit Admiral Road and tell me the gift you love with the link. Disclosure: Please note this giveaway was presented by company or PR. I reviewed a product to give my opinion. I did not receive any other compensation. All opinions are my own. Looking for a great stocking stuffer? Check out Hasbro Action Figures & Collectibles. My son loved these little guys and they have movable arms, legs, elbows, head & knees. Figures come with clothing, swords, webs and others are available with motorcycles, atvs, and cars just a little more cost. Most action figures are $6.99. The Battle Glider Black Costume Spider-Man was so cool to my son. He is very familiar with spider man was really excited. The other character was from Stars Wars in celebration of The Vintage Collection 30th anniversary of STAR WARS: THE EMPIRE STRIKES BACK. I had to put light sword away from my 1yr. The characters are a great size for little hands. Hasbro action figures may be the perfect stocking stuffer for your child or for a figure collector. I'm thinking about a cake topper too! Disclosure: Sample products was received from company or PR to review. All opinions are my own.